Dr. Michelle D. Miller is Director of the First Year Learning Initiative, Professor of Psychological Sciences, and President’s Distinguished Teaching Fellow at Northern Arizona University. Dr. Miller’s academic background is in cognitive psychology; her research interests include memory, attention, and student success in the early college career. Dr. Miller co-created the First Year Learning Initiative at Northern Arizona University and is active in course redesign, serving as a Redesign Scholar for the National Center for Academic Transformation. 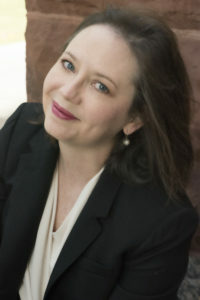 She is the author of Minds Online: Teaching Effectively with Technology (Harvard University Press, 2014), and has written about evidence-based pedagogy in scholarly as well as general-interest publications including College Teaching, Change: The Magazine of Higher Learning, and The Conversation. Dr. Miller’s current work focuses on using psychological principles to help instructors create more effective and engaging learning experiences, and to help students become more effective learners.